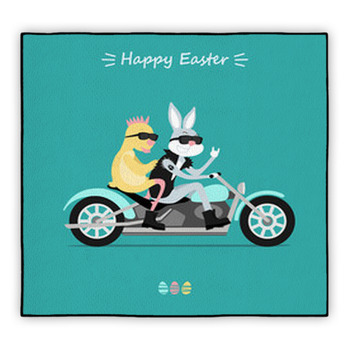 Motorcycle lovers rejoice! What better way to show off your love of motorcycles than with a giant picture of one. 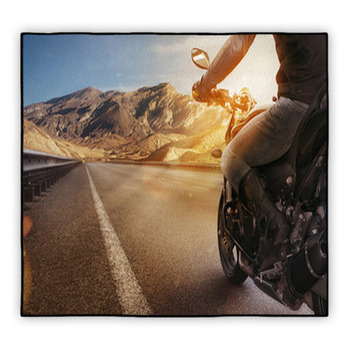 Not just any motorcycle but a new plushy rug using an image of your very own bike, large and sleek spread out for all to see. 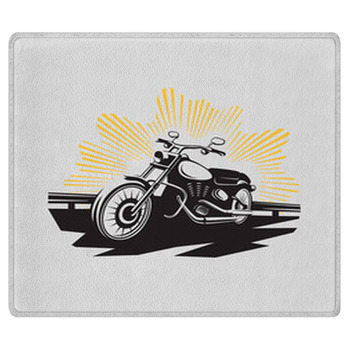 A personalized motorcycle rug can add extraordinary flare to any room. 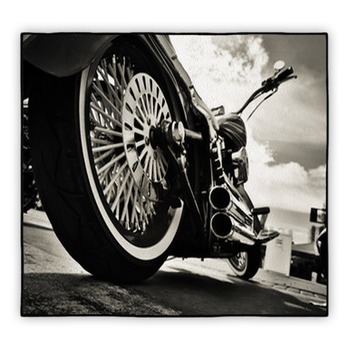 Get a high-quality image with brilliant lines and colors to showcase your favorite ride. 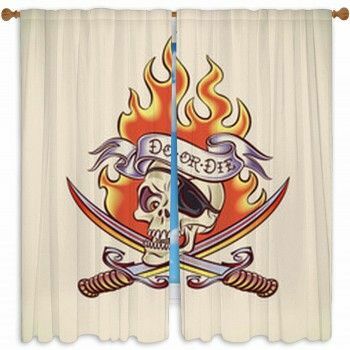 When it comes to decorating a living space with images of your sleek or powerful motorcycles, there are many possible roads to take. 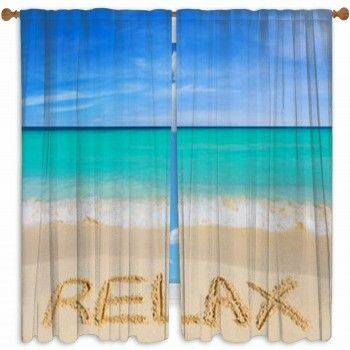 It all depends on your style and what would help enhance your living space. Classic or modern? 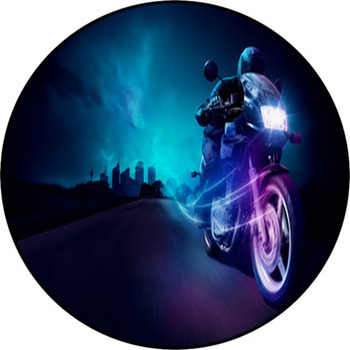 Fast bikes or loud engines? Neutral tones or all the colors in the rainbow? 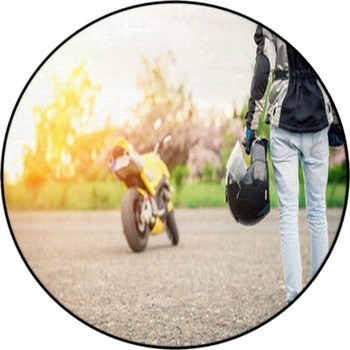 Choose the motorcycle images that fit with the rest of the theme in your room, or you can simple choose a picture of your favorite bikes and make the rug the main focal point. Peugeot, Kawasaki, and Honda motorcycles make great images. 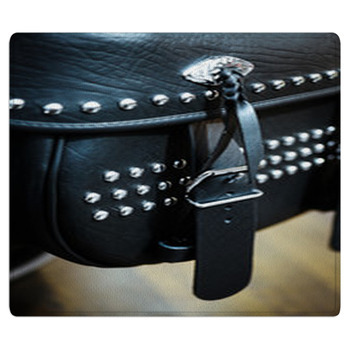 A motorcycle area rug is a perfect accent to liven up a room. How nice would it be to come home to a dramatic image of a sleek silver motorcycle on your very own carpet rug in front of a fireplace with a sofa and arm chairs to complement? Having a party? Its the perfect opportunity to display your shiny sweet ride. Simply invite friends and family into a room. 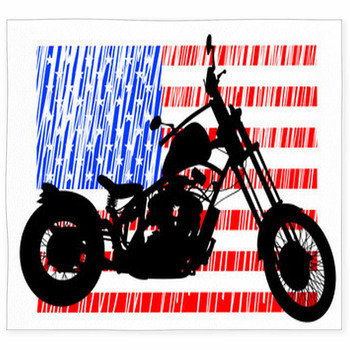 Showing off your flaming red or orange bike on your living room rug will stand out and be a great conversation piece. 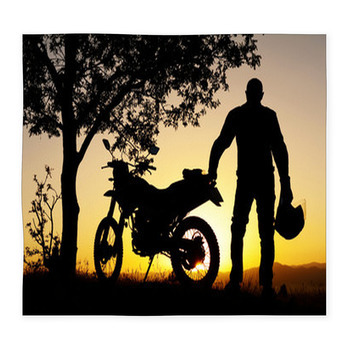 Whether you use our images or send in pictures of your own bike, these rugs can impress almost any motorcycle lover.